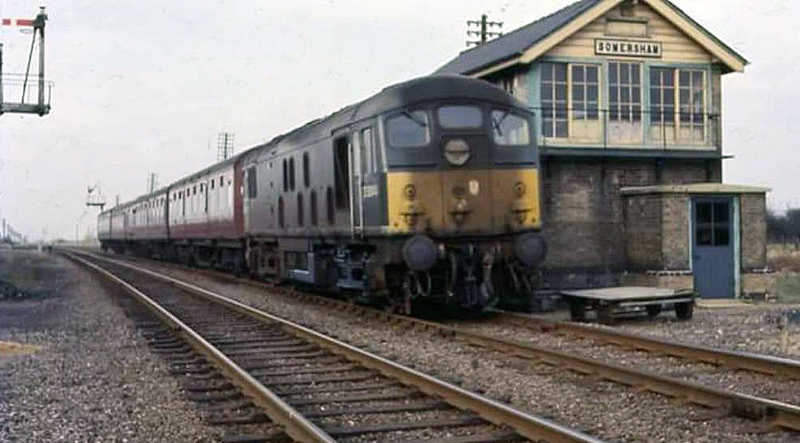 A nice shot of a class 24 (D504X) passing Somersham signal box probably on a Peterborough to Cambridge working at around the time of the line closing in March 1967. To the left is the junction signal for the line to Ramsey East. Photo taken by a local farmer. With thanks to Adrian Sutterby.